Do you ever just want an indulgent vegan dessert, but don't want to take the time to bake it yourself? I sometimes get frustrated with the limited options for vegans at my grocery store, and sometimes I just want to treat myself to something special. 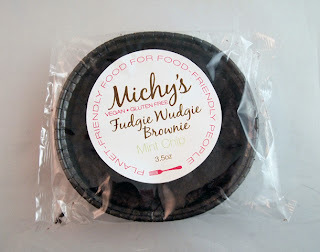 Michy's offers a great option for just this type of occasion: the Fudgie Wudgie Brownie. You may have to practice delayed gratification with these brownies, as they are mainly available via mail order, but they are worth the wait. 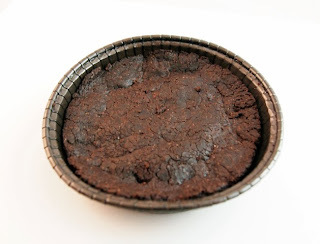 They have a crunchy chocolate crust with a decadent, fudgy center. 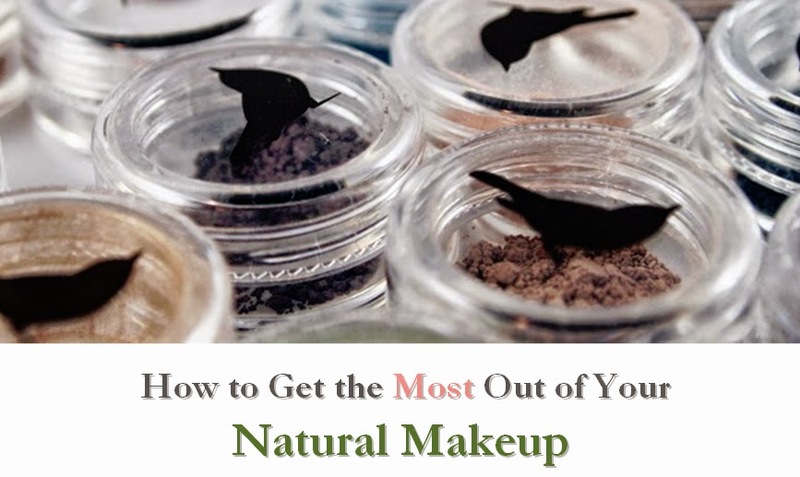 The chocolate mint flavor that I sampled was a wonderful blend between the two flavors. There are three other flavors available as well, and you can even order a sampler as a treat for yourself or as a tasty gift. There were no nutrition facts posted on the website, but they are on the back of the package. However, that didn't stop me from eating my sample in one sitting - it was that good! For the future, it would be nice to see them posted on the website. If you're interested in trying these brownies, you can contact the company for retail locations, or place an order online. I recommend trying the cookies as well (click here for my review), which you can easily do via the ultimate sampler. If you're looking for a vegan, gluten-free, and delicious dessert, this brownie is a tasty choice.